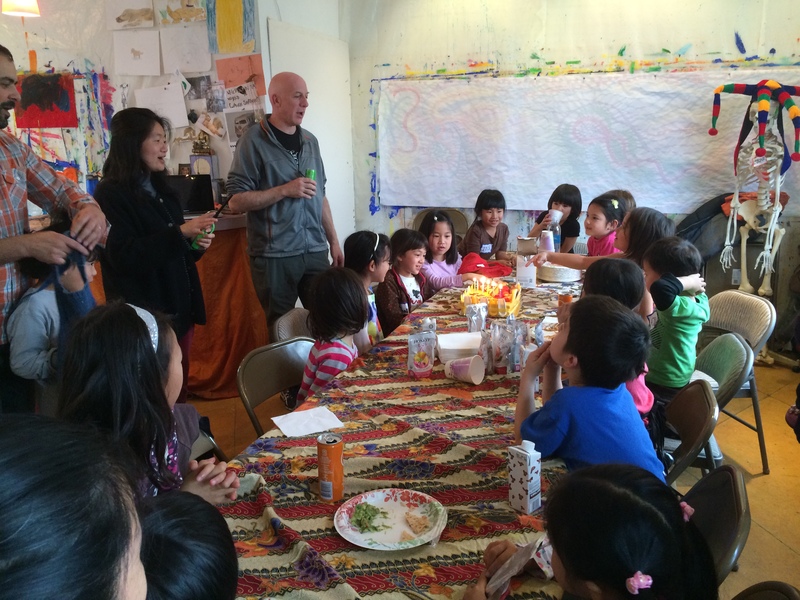 Dancing Paintbrush Studio is happy to host birthday art parties for children and adults! 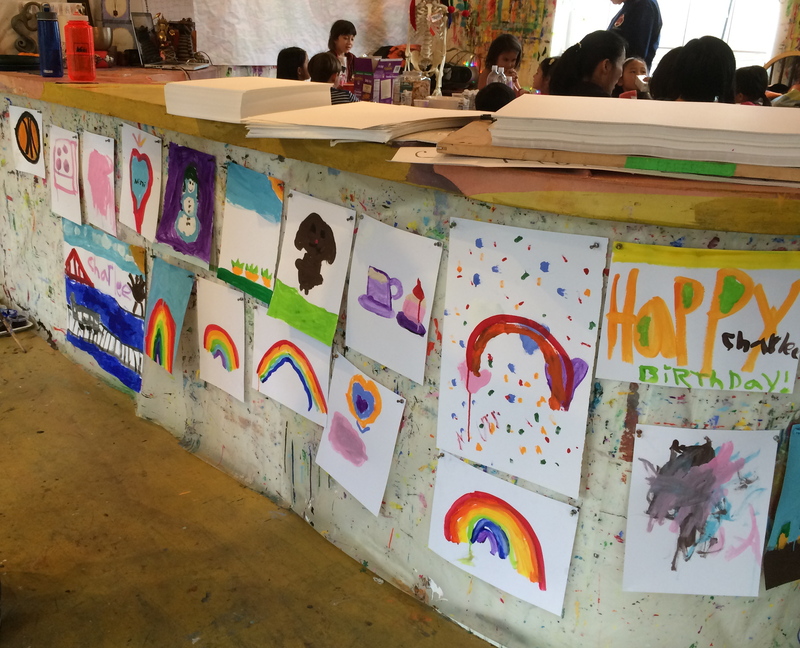 We supply all art materials, including paints, plenty of acid free paper, and mural paper for the group to create a special birthday mural. 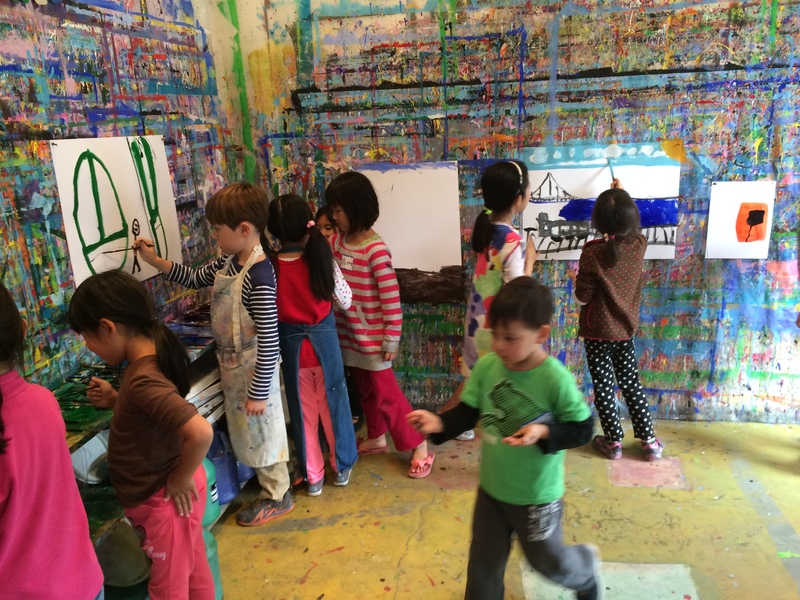 Participants can make as many paintings and drawings as they want, and we’ll help you create a giant mural for the birthday girl or boy. Or man or woman! 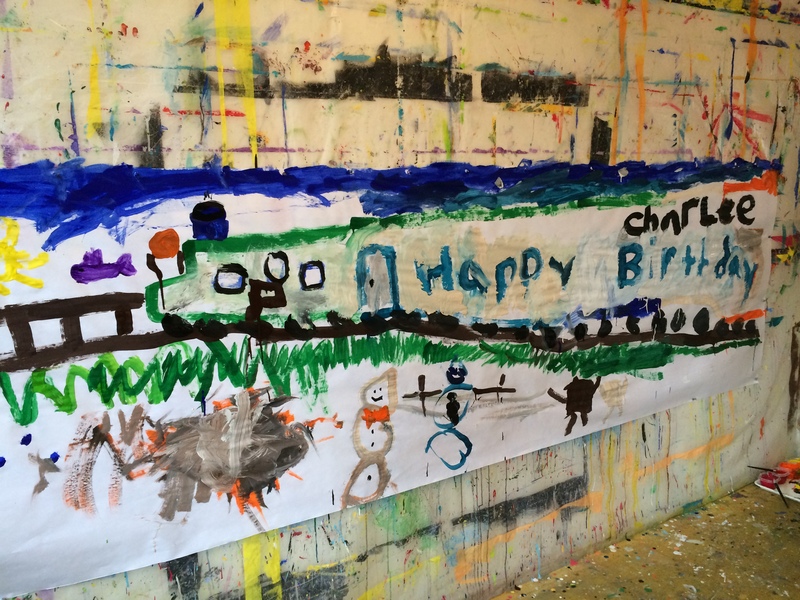 Birthday art parties include 2.5 hours of studio rental: two hours of painting and art making and one half hour for cake and presents. You are welcome to bring food and refreshments. We supply the tables, chairs, and tablecloths, but we ask that you supply any necessary paper goods (plates, cups, forks, napkins, etc.). 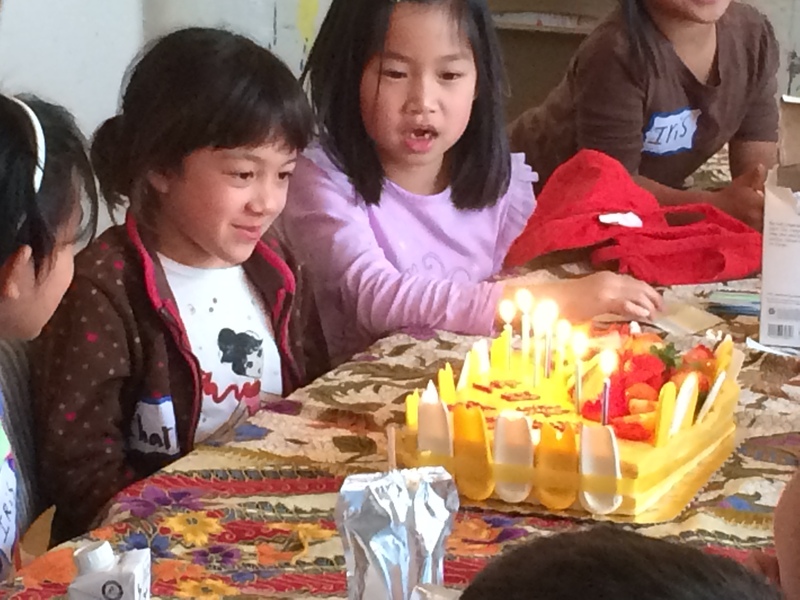 Contact us to schedule your birthday party at Dancing Paintbrush Studio! 510-604-0036 .Our parties require a $150 deposit (non-refundable) at the time of booking the date, and the remainder of the payment is due in full one week before the party date. 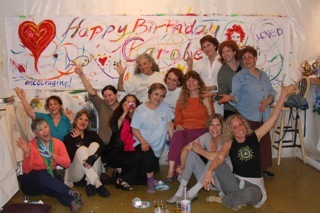 We’re very excited to help you celebrate your birthday in a very unique way!